The U.S. Army last week issued a formal request for proposals under the Contamination Indication / Decontamination Assurance System (CIDAS) effort. 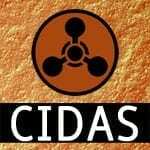 The goal of CIDAS is to provide capabilities to detect trace levels of chemical warfare agents on surfaces before and after a decontamination operation, and to provide visual indications of the exact location of the contamination. Such technology will afford military personnel the ability to quickly and accurately map the area of disseminated contamination on equipment. The CIDAS must also be compatible with a wide range of materiel and facilities to avoid degrading readiness and capabilities due to damage from the application of the indicant. The RFP was issued by the Army Contracting Command -Aberdeen Proving Ground (ACC-APG) Contracting Center, Natick Contracting Division in support of the Joint Program Manager for Decontamination (JPM Decon) and the Decontamination Family of Systems (DFoS) Program. The government anticipates awarding one or more contracts under this effort when funds become available. Further details may be accessed under Solicitation Number: W911QY-13-R-0001. The response deadline is February 4, 2013.